This chai is robust and full flavored with intoxicating masala spices. 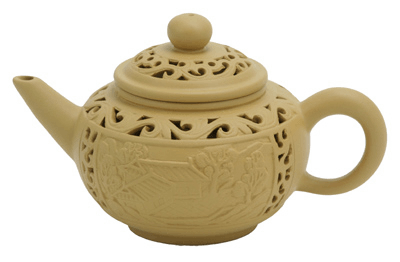 This delicious decaffeinated black tea contains ginger, cardamom, cinnamon, coriander, cloves, and black pepper. 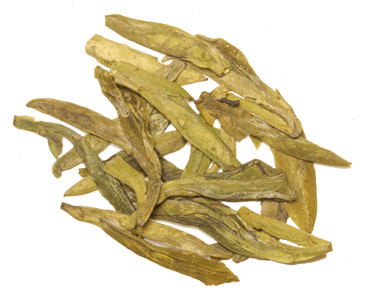 When brewed this chai is coppery and bright in color and is wonderful served with milk. Please note: Turn your bag of Chai upside down a few times. The powdered spices can settle at the bottom of the bag during transit. Click here for Chai Tea brewing instructions. 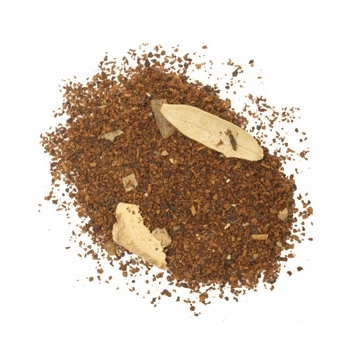 Click here for additional chopped Chai mix for a spicier brew. Try our Value Chai Sampler. A Great Value! Good blend of spices and tea. Will buy it again. I have three boys at home who love to drink Decaf Chai in the evening! They think it is better than hot chocolate and it's healthier! We add Agave, cinnamon, and whipped cream to make this the perfect bedtime treat! My kids and I all love this chai. We make a strong brew and then top it with plenty of sweet foamy steamed milk and a touch of cinnamon.